Do you give a special award to someone who goes above and beyond? 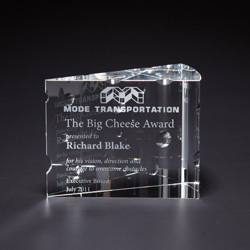 The Big Cheese award will fit the bill for a stand up, and stand out, award. Your information etched onto this uniquely shaped award. Each optical crystal award weighs 3.25 lbs and is beautifully etched with your recipient’s name. 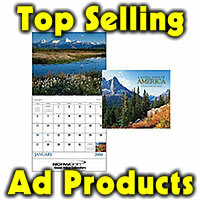 Award is is 4″ H X 5″ W X 2.25″ D and the imprint area is 3.5″ H X 4.5″ W. 133.95 for 1-5 pieces, 131.95 for 6-9 pieces, 130.95 for 10-25 and 129.95 ea for 25 or more. Set up is 65.00 for first award with a copy change charge of 7.00 per award to change name or up to 4 lines of text on subsequent awards.